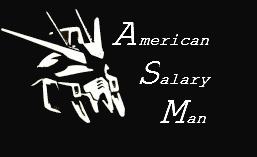 An American Salaryman in Osaka | Welcome to the puchi-otaku world of an American Salaryman in Osaka. The new car smell has worn off, and jaded in Japan is the lifestyle, but at least there's always games, gundam and everything else otaku. This is our wandering story of on American who works long hours, hits his head on small doors, and tackles the language barrier. Welcome to my life. Posted in Featured Posts, Site news.